RSS Bandit is a good open source feed aggregator that allows you to read news feeds (both RSS and Atom feeds). The application supports NNTP and downloads podcasts from your desktop. It also has the ability to synchronize with your feeds in Google Reader and the Facebook newsfeed. The main interface of the program shows a 2 pane view. 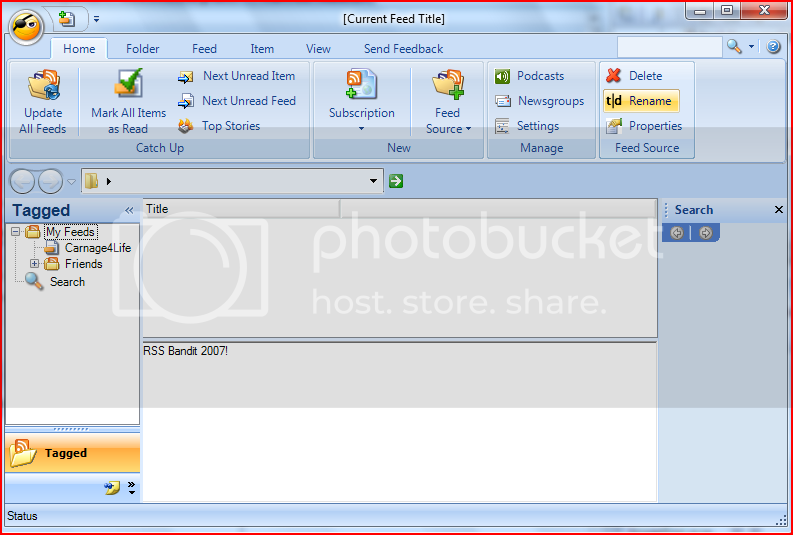 Preset feeds are displayed in the left pane. There are many ways by which you can subscribe to the RSS. For instance, you can subscribe via a keyword or by a URL which is the much preferred method as you just have to enter the URL. The subsccription wizard automatically finds and certifies the address if it is valid. However, you need to enable Autodiscover feature for this purpose. On final note, readers who like reading their feeds from multiple sources and still want a desktop based feed reader should find RSS Bandit as a good pick.